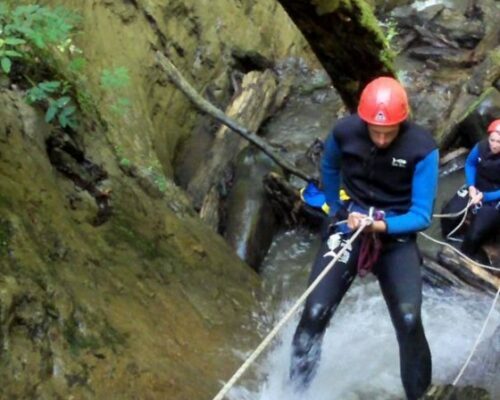 The Adventure Package is an ideal activity choice for your hen party, if you fancy a high adrenaline experience on your last weekend of freedom! Begin with your v8 Safari, also known as ‘The Whilte Knuckle Ride’! 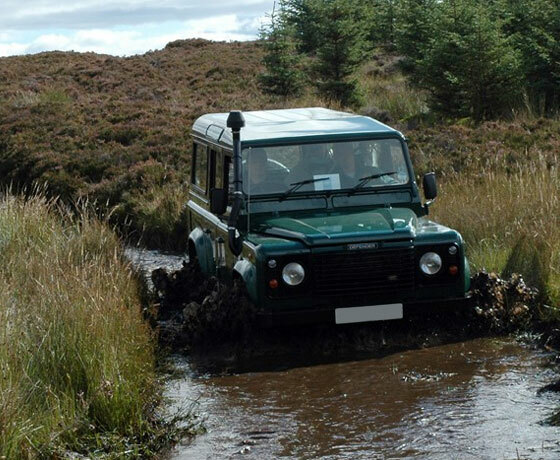 Get strapped into your 4×4 off-road vehicle with your fellow hens and be driven at high speed, by a professional driver, around an 80-acre off-road site. Experience the thrill of immense speed combined with steep inclines and plenty of rough terrain. For the ultimate hen party experience, there are a few extra obstacles thrown in for that extra bit of thrill! Navigate your way around a challenging 80-acre track of muddy, mountainous terrain with your fellow hens on board. You will need every ounce of your precision and nerve to take on this challenging obstacle course and splash your way through the toughest off-road terrain! A great hen party experience! Enjoy a fun zip line session which will really get the adrenaline rushing on your hen party! This giant zipline is a massive 500m long and at its peak, you will be gliding over 50m above the ground! 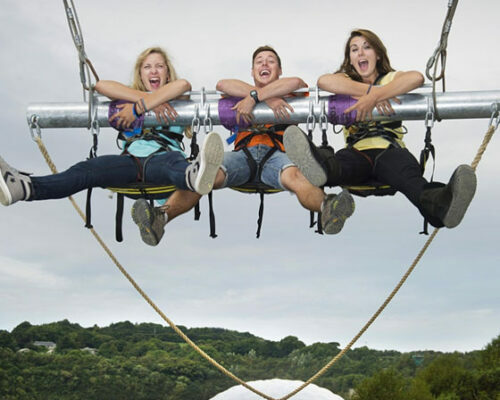 Your qualified instructors will drive you by Landrover to the Zip Tower for the ultimate hen party adrenaline fix! A great hen party activity idea! 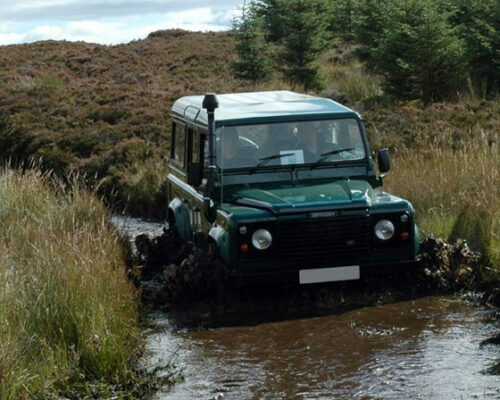 You and your team mates will each be given the chance to drive a Land Rover around an obstacle course, fully blind folded! The aim is for the passengers to help their driver navigate through a challenging obstacle course without hitting anything or knocking any obstacles down. It’s crazy but fun! A great activity to test endurance, concentration and will power! Get harnessed up and see if you can climb the 40-foot wall. You’ll have to master all the grips and make no mistakes if you want to make it all the way to the top! Perfect for adrenaline junkies on a hen weekend! 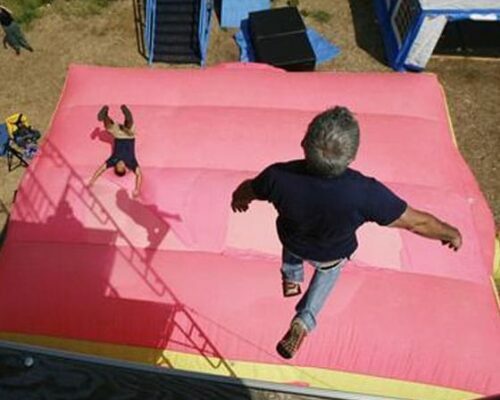 This state-of-the-art, free fall stunt jumping facility is the first of its kind to be used in a recreational setting. Leap off a 30-foot platform and free fall onto a huge, puffy air bag, just like those used for stunts in big budget films! Work your way up series of platforms to boost your confidence, before you take on the ultimate hen party challenge and dive from the top! Not for the faint-hearted! 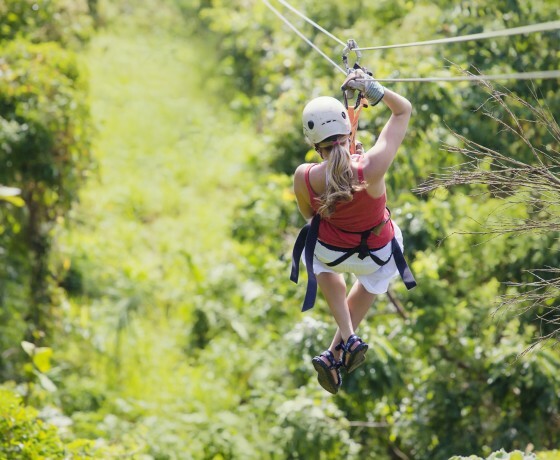 With room for 3 people, this is a adrenaine-fueled activity you can share with your fellow hens! Once you are strapped in and the strong winch begins to pull you upwards there really is no going back – just forward! When the winch lets go, you will swing back and forwards over the edge of a cliff, just for that added thrill on your hen do! 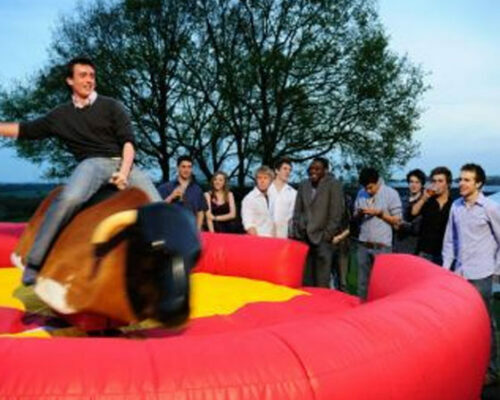 The classic rodeo bull is a firm favourite for light-hearted fun on your hen do! For wannabe cowgirls out there, you’ve just got to hang tight as the bull gradually picks up speed! Every second counts! To look at similar adventure hen activities, click here.